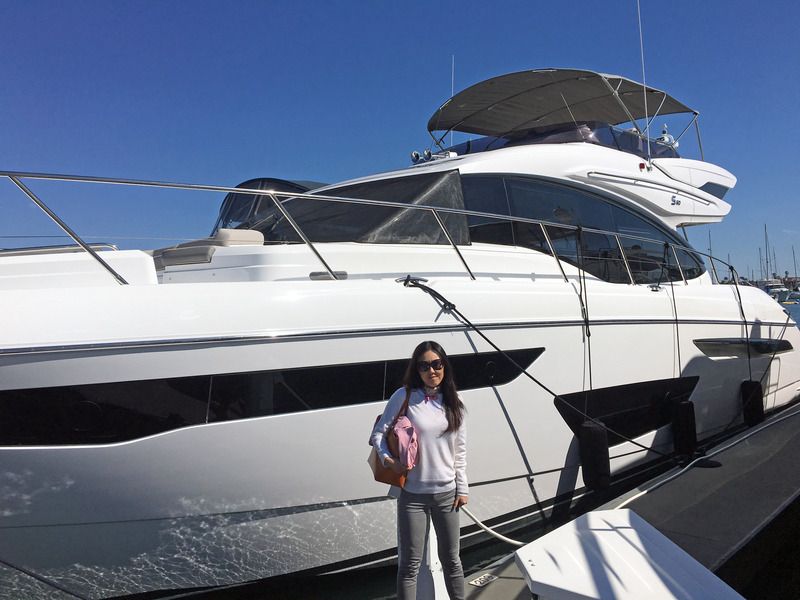 On Saturday, February 24th, 2018 Katherine and I went to see a boat in Los Angeles. We knew this wouldn't be the "right" boat, but we really like the "Princess" line of boats and this was the only one on the west coast we could set foot onboard. 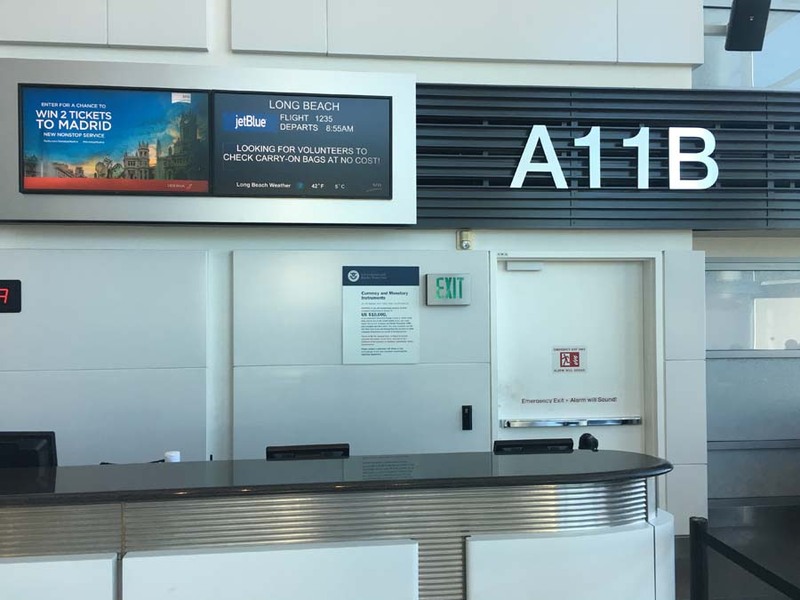 We flew JetBlue for the first time, departing SFO and going to Long Beach Airport (LGB). Here is Katherine in front of the Princess S60. The "S" means "Sport Bridge". On the way home, here is a video of Katherine getting a lengthy pat-down by TSA.